And so we continue the discussion with what happens during the Embryonic/Fetus-Stage of the Development of the Potential Human. Potential Human, because it is not a Human Yet, it’s a Life Form. Currently, Humans are Defined by their Combined History and the Horror that that implies, is the Subject of this Discussion, where we are talking about the Great Inquisition of the Fetus. In their Vast Wisdom – and here one must understand ‘Wisdom’ within the Context of Being Wise Enough to Justify ‘Why’ things had to Happen the way they Happened throughout History, so that everybody followed it and eventually made it Part of the Genetic Material and the Information Required to constitute the Mind - through which the Consciousness of the Being would be Realised and would form the Foundation of Every Word; with Every Word being a System that is based Multi-Dimensionally on the Total History of the Development of the Word. Within this, we’re going to look at the Great Inquisition that took place during the Dark Ages. How that simple point is Currently part of the Integration that is happening within and as the Physical Body into a Platform of the Mind, which will eventually Constitute the Foundation of Back-Chat. The Back-Chat being the Inquisition that takes place within the Being as they become Older, but initially - it will be manifesting as ‘Inquisitiveness’ and the Child will go through a Stage where they are so called ‘Discovering their Reality’. It’s not Really a matter of ‘Discovering’, it is more finding their Alignment to Reality and to Find out the Level of Control that they can Have, which the Parent will Subdue as much as Possible, because Boundless Control without Reason on the One Side, is a Recipe for Disaster. The only Problem is that the Parent doesn’t know how to Manage this, so obviously it is a Disaster anyway. So, during the Dark Ages, Lives were Programmed-in and the Structures of Society were designed so that into the Flesh, into the Genetic Material – would be Lived-in as Word, Deed and Feeling, as the Totality of the Being: a most horrific experience, between the Haves and the Have-Nots. 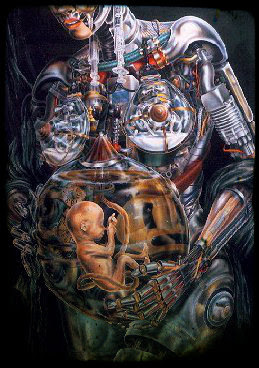 Embedding within the Human, at a Massive Scale, a Sense of the Need for Survival that is So Big - it starts integrating already at the Fetus-Stage and that integration becomes Part of the Platform of the Mind, which becomes Part of the way that Reason will function; and thus becomes Part of the Great Inquisition where you will Eventually as an Adult ‘Debate’ with yourself about Issues, about Points – to ensure that under No Circumstance, do you ever Bug the System, you would only Ever Consider Finding a Reason why Common Sense and the Good of All is Not Valid. As we are going to Discuss Scenarios in time, you are going to notice that this has been Repeating itself with the Same Message. So, that is why you will for instance always try and Find in any Good Idea, anything that may bring a Solution, or may bring a Life that is Better – you will find within it: Fault. But the Life where you can have Control over Others and you can have Power which is bestowed upon you by the System, like with Money – you will actually go for that, because you don’t trust anything. What makes Sure that you don’t trust anything is what was Born in the Great Inquisition of the Dark Ages, because those were the Times where you had Specifically, Forced-Upon the Human, in the most Atrocious Ways: Experiences into the Flesh, into the Very Beingness of ‘How Little’ you can Trust your Fellow Man, that your Fellow Man can Actually Torture you, can actually Destroy you – Simply because you Disagree. This Disagreement would be Taken to the Point where all Rights you may have, from your Perspective – I mean, the Value you have for your Own Life – would be ‘Worthless’ if someone else Does not Value it as well. Therefore, at all times, you have to Scheme, Measure and Debate what you Say in-front of Another Human Being, How you Say it and What you Do. You have to Measure it and Let it Function within a Context where you have Some Sense of Control, where you have some Form of Rules that Guide you, no Matter whether these Rules are Fair or Not – that’s really Irrelevant. What is Relevant is whether it’s Fair towards YOU, Individually – it’s not whether it is Fair to All Other Parts that is With you on Earth: Animal, Plant, other Humans. It is just whether You Win or Not.